There's much worse you can eat from a microwave. 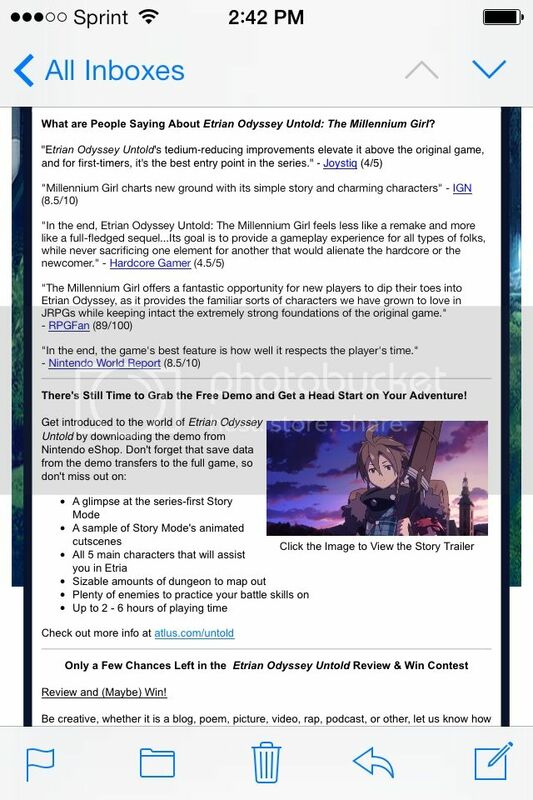 Just got quoted in the Atlus newsletter. I'm welling up. Not only are you happy for me, you're showing it in British ways. ;-; I love you guys. Women really into sports totally turn me off. Probably because I'm not at all into sports. I especially find women wearing sports jerseys unappealing. Good thing my wife fits the bill of caring about sports just as little as I do. On NFLfan.com there's some guy saying the same thing about videogame chicks. It goes without saying what I said applies and holds water only if both parties are into hockey. my girlfriend is as into games as i am and sometimes it can be a double edged sword. but ts what made us friends to begin with. Yeah, it's certainly important to have some similar interests, but I think it would drive me nuts if we both loved all the same things. I don't want her out gardening with me all day. That's MY time. Just like she has her own interests that i have zero interest in. I don't get couples, or even families, that feel the need to do EVERYthing together. I credit our differences for helping to keep our relationship strong. Any chance you can link us to the source material Goosey? I'm interested in reading it. And a big congrats to yoh sir. Sure, Embryon posted this picture in the staff forums for me. So i'll just use that. so my girlfriend has been acting really shy around me lately.wich is strange because she agressively courted me and had to get through some thick emotional walls to do so. also when i first met her i friend zoned her because she is 10 years younger than me. my best guess is that she had both her brothers die in the iraq war and had to develop a manly persona for her mom and her two younger sisters and perhaps being around me has slowly allowed her to shred that and slowly bring back out her true self.